"Truly the King of Backs!" "MIKE KNEW JUST WHAT TO DO"
KUER Physiotherapy (formerly Mike Squirrell Physiotherapy & Sports Injury Clinic) is approved by all major UK and international health insurance companies for the provision of Physiotherapy services as well as complementary health services such as acupuncture, massage and kinesiology. CIGNA & CIGNA International Provider 114859. All the health insurance by the providers below cover the full cost of treatment at KUER Physiotherapy. When calling please specify KUER Clinic to be found quickly on their database. Mike and his team are the simply the best. My running injury was identified quickly and a treatment plan was created and I was running again in almost no time at all. Brilliant! Thanks everyone. I saw Mike after an ACL reconstruction on my right knee. Mike’s rehabilitation program was comprehensive. With his professional guidance I was back on the ski and football fields stronger and fitter than ever. Joel's worked magic for my back joint injury (which was initially so bad that it prevented me sleeping supine, so I got accustomed to sleeping in a sitting position). The 'cat' exercise he has showed me is now a staple of my exercise routine. I suspect Joel is also an EXCELLENT tennis player, although he is too modest to admit it! London Physio has the best Physios in the City. Knowledgeable and reliable. Due to chronic pain, I have seen a lot of pain specialists in London and I can say that this is the best experience that I have ever had. I saw Joel for a back injury that had been bothering me for many years. Joel was very knowledgeable and was able to get to the root of the issue. I have now been pain free for the first time in years. Amazing Physiotherapist. Cuong is fantastic. Professional, friendly, empathic, and most importantly for me, he has helped bring comfort back into my day. I've had a residual plantar fascia and ankle problem from my Australian Rules Football days but thanks to Cuong, my condition continues to improve. He is also pragmatic and manages my expectations superbly which is no small feat.  Looking for the best Physiotherapist London has to offer?Mike Squirrell's London Physio has been serving the Harley Street area of London for over 10 years and offers an exceptional same day and emergency physiotherapy clinic in London. Experts in back pain treatment in London, as well as sports physiotherapy and sports massage therapy.